SEO, Since the end of the recent US election, the news media and social media spheres have been talking a lot about fake news. It doesn't seem like a new problem, but the election has brought it back as a subject of interest I guess. - Fake news should be removed from Google and Facebook, by Google and Facebook. It seems like most people don't do their own research and believe everything they read, and fake news sites/writers/stories are maliciously taking advantage of that. - Fake news might be a problem, but allowing corporations to control the news we see sets a dangerous precedent. The SEM Post has a great story about "Why Google Should Not Remove Fake News & Unpopular Opinions From the Search Results." Give it a read for all the details - but it basically boils down to the idea that instead of Google removing fake news and unpopular opinions, people should be writing their own content to disprove fake news or argue against unpopular opinions instead. The specific example The SEM Post gives is the search phrase, "Did the holocaust happen". The Guardian apparently wrote an article criticizing Google because, for a while, the first result for that phrase was a Holocaust Denial site. Instead of Google removing those sources, The SEM Post writes that other people should be writing articles that counter Holocaust Denial and getting them to rank for that phrase. There are other reasons why Google shouldn't remove fake news, too. A great one that the article mentions is that sometimes you want to find the fake news source. If you're going to analyze it and write a take-down of it, you need to have the source! If Google starts taking those results out of SERPs, all we'll be left with is their original impact. That article was written last week I think. This week, Google took their own steps. According to Search Engine Land, Google has altered its algorithm to counter fake news and unpopular opinions. "Did the holocaust happen," now shows fewer Holocaust Denial sources as a result. There are also a few sites that followed the SEM Post's advice, too - some sites trying to rank for the phrase and write against denial - and that's credited with part of the change too. Google was built on providing people with high-quality and authoritative results for their search queries. We strive to give users a breadth of diverse content from variety of sources and we’re committed to the principle of a free and open web. Judging which pages on the web best answer a query is a challenging problem and we don’t always get it right. When non-authoritative information ranks too high in our search results, we develop scalable, automated approaches to fix the problems, rather than manually removing these one-by-one. We recently made improvements to our algorithm that will help surface more high quality, credible content on the web. We’ll continue to change our algorithms over time in order to tackle these challenges. Danny Sullivan writes great stuff imo, it's a good article check it out. Seems like, regardless of the debate, Google is a corporation. And corporations need to protect their image. Maybe the Guardian piece, combined with public outrage, convinced Google to make this change. Maybe not, maybe they'd been planning it all along. Who knows. But it's a developing story with a lot of nuance - I expect we'll all hear more about fake news in the new year, too. For better or worse. 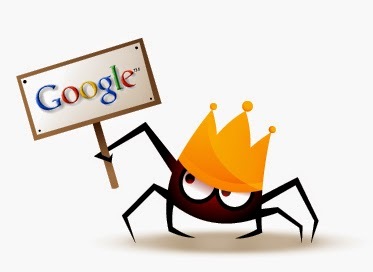 I guess the big question now is, "How does Google define authoritative? How does Google define truth?"